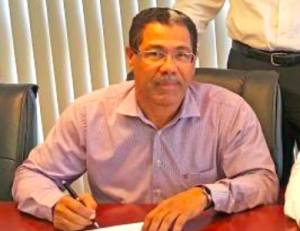 WILLEMSTAD - According to the Director of the public company Refineria di Korsou (Curaçao Oil Refinery) José van der Wall-Arneman, the utility company Aqualectra can get cheaper energy. Van der Wall-Arneman intends to sign an agreement with Aqualectra on the supply of electricity by former BOO-plant. Now the Curaçao Refinery and Utility (CRU) plant also provides energy to Aqualectra but they get nothing for it in return, meaning no payment. If Aqualectra starts paying then CRU will invest and that means that the electricity bills for consumers will decrease significantly in price, says Van der Wall-Arneman.